O n April 28, National Institutes of Health (NIH) Director Francis S. Collins announced the selection of Eliseo J. Pérez-Stable, M.D. as Director of the National Institute on Minority Health and Health Disparities (NIMHD). He is expected to join NIH in September. 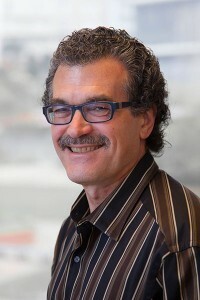 Currently at the University of California San Francisco (UCSF), Pérez-Stable is a professor of medicine, chief of the Division of General Internal Medicine, and director of the Center for Aging in Diverse Communities. He is also director of the UCSF Medical Effectiveness Research Center for Diverse Populations, which is addressing issues for African Americans, Asians, and Latinos in the areas of cancer, cardiovascular disease, and reproductive health. His personal research interest is in improving the health of poor and minority patients, reducing health risks such as smoking in minority populations, and improving cross-cultural communication skills among health care professionals. Collins also recognized and thanked Acting NIMHD Director Yvonne T. Maddox for her “exemplary and dedicated service of leading the NIMHD efforts over the last year.” He also announced that Maddox is moving on to become Vice President for Research at the Uniformed Services University of the Health Sciences.